Since 1982, Able ARTS Work (formerly known as Arts & Services for Disabled, Inc.) has played a significant role in providing meaningful day programming for adults with developmental disabilities. Using the creative arts as a tool to develop and strengthen social and developmental skills, our primary focus is to encourage and support artists with disabilities in their creative expression through inclusive community participation. 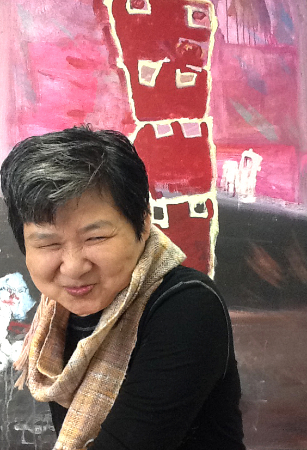 Our day programs provide creative studio settings and facilitation for adults in music, drawing and painting, mural painting, video production, photography, fiber arts, printmaking and more. The programs are further enriched with music therapy services, resulting in the provision of individualized services for each individual attending our programs. 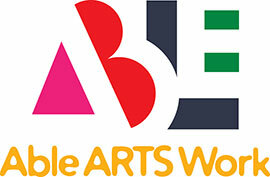 Able ARTS Work's (formerly known as Arts & Services for Disabled, Inc.) day programs provide services on a part-time and full-time basis in Long Beach, Gardena and Hawthorne, CA. Able ARTS Work (formerly known as Arts & Services for Disabled, Inc.) provides reliable door-to-door transportation for individuals attending Able ARTS Work (formerly known as Arts & Services for Disabled, Inc.) day programs, to and from home. Our Transportation staff is certified in First Aid and CPR. Each trip has a driver and bus aid that assist clients on and off the vehicle, providing a safe and supportive experience while in transit. Our vehicles are ADA compliant and are maintained and inspected regularly. Additional services are provided for community outings during day program hours. Transportation services and vehicles are currently funded by Westside Regional Centers and Cal Trans. Reasonable accommodations: New and current student(s) have the opportunity to request reasonable accommodations as necessary to maintain quality of services received. Student(s) and their families and/or caregivers are directed to speak with their Program Manager as well as their Service Coordinator (if applicable) to submit accommodation requests. We assure the requests do not interfere with daily programming needs, affect services to other student(s), or pose any potential hazard or threat to student(s) or staff. Questions or comments on reasonable accommodations can be submitted to info@ableartswork.org. To find the appropriate Program Manager or for other questions, please contact the administrative offices at 562-982-0247.